On Wednesday at 19:45 Liverpool take on Manchester City in the first leg of their Champions League quarter final. The game, to be held at Anfield, is highly anticipated and evenly matched. 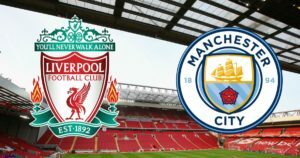 Both teams have their injury concerns, with Pep Guardiola confirming that Sergio Ageuro will be abscent, and Liverpool missing a trio of defenders (Joel Matip, Ragnar Klavan and Joe Gomez). It’s a busy time for Manchester City, and Liverpool may be hoping they’re preoccupied with Premier League success (Man City will clinch the league title this Saturday if they beat Manchester United). Despite City’s success this season it’s unlikely that Liverpool will be intimidated by this golden opportunity, they are after all five times winners of the European Cup. With Mohamed Salah on the pitch too, they have good reason to feel that this game is not beyond them. What a season he’s had. They’re also the top scoring team in the Champions League, another reason to go into the game with optimism. With both teams full of confidence from good form, we can expect to see an attacking and entertaining game with a few goals. With that in mind, over 2.5 goals at 8/13 seems like a reasonably good bet and keeps an interest in the game no matter which team is pilling the goals away. Along the same lines, both teams to score at 1/2 is another option. Enjoy the game!